Wildcard SSL certificates designed for greater ease and lower operational cost to secure multiple subdomains. You will get industry’s strongest 256-bit encryption and proven business authentication to all your subdomains with our inexpensive organization validation wildcard certificates. Some of our wildcard certificates issued fast with automated domain validation process accomplished by certificate authority. A Wildcard SSL Certificate supports unlimited server licensing; so, you can secure multiple subdomains under a primary domain hosted on multiple servers. Shop confidently from our wide range of wildcard certificates. Wildcard SSL is perfect for Application Service Provider (ASP) or Software as a Service Provider (SAAS) where you need to secure all transactions occur across the multiple subdomains. It is also ideal for Microsoft Exchange Servers and CDN hosting platforms like Amazon AWS. Wildcard SSL will be issued for *.example.com, an asterisk will automatically secure all existing and upcoming subdomains. If your subdomains are placed on multiple servers then you can install the same certificate at all different servers without paying any extra cost. As all certificates offer same level 256-bit encryption, security, and compatibility, you can buy Comodo Positive SSL Wildcard certificate at just $59.50/year. They will review your request and issue your certificate immediately after performing paperless domain verification process. Comodo Positive SSL Wildcard certificate can secure an unlimited number of subdomains with industry standard encryption. It confirms domain ownership and provides a single security solution for your entire sub-domains. Don't pay more for the security of subdomains; It will enable strong 256-bit encryption to protect your data traveling between the end user and website. Secure your unlimited subdomains of the same domain name with Comodo Essential SSL Wildcard. When the certificate will be issued for *.yourdomain.com, it will protect your mail.yourdomain.com, secure.yourdomain.com, anything.yourdomain.com. Comodo follows an online validation process to verify domain authentication, so you will get this certificate instantly without any paperwork. RapidSSL Wildcard Certificate offers a single protection for your unlimited sub-domains. The certificate will avoid difficulty arise in managing multiple sub-domains and offers a single cost solution. Therefore, you do not have to set up a particular certificate for each sub-domain, RapidSSL Wildcard will do a needful job for your unlimited subdomains to secure your whole set of subdomains with a single certificate, and thus, can save your money and time. Thawte Wildcard SSL can provide protection for your numbers of subdomains so you do not need to buy an additional SSL certificate. You can secure your all subdomains which can be installed on multiple servers. Thawte Trusted Site Seal offers utmost security satisfaction to customers and encourage them to deal with your website. With Thawte Wildcard SSL certificate, you can set up an encrypted connection between a browser and the server with 256-bit encryption. Whether you wish to secure company pages (subdomains), mail server, shopping cart or other online sensitive information all you need to install GeoTrust True BusinessID Wildcard SSL. Secure your unlimited host names on unlimited numbers servers under one domain name with single Wildcard certificate. Show your clients a trusted mark of reputed certificate authority on your website and enhance your business conversations, and profit too. Expand your limit of securing sub-domains with GlobalSign Wildcard SSL. A single * character allows you to secure unlimited sub domains on unlimited servers. With *.domain.com, you can secure secure.domain.com, webmail.domain.com, anything.domain.com, etc. Even when customers click on GlobalSign secure Site Seal, it will show organization’s details that ensure customers about organization’s trustworthiness. Are you looking for security of multiple subdomains of the same domain? You should obtain wildcard certificate. We offer cheapest Wildcard SSL certificates which are issued by requested certificate authority, thus you will get same features and security at less price. An asterisk (*) proceeded by domain name allows to secure all first level subdomains. Wildcard SSL is a cost and time-saving certificate especially made for those businesses serving with multiple subdomains. Cheap SSL Shop has announced a huge discount on Wildcard Certificate starts from $59.50 per year. Wildcard SSL certificate is one of the best security solutions for organizations who are handling subdomains to manage mail servers, users’ dashboard, shopping cart, blog and anything. It is so expensive to deal with an individual certificate for each subdomain, so wildcard certificate is a cost-effective way to protect all subdomains although located on multiple servers. As well buying Wildcard certificate is an intelligent decision in the sense of easy management like renewal, reissuance, and configuration of a single certificate. Don’t miss a chance to bit your rivals! HTTPS is one of the parts of search ranking algorithms. Google enforces webmasters to use SSL for web security and notify end-users by displaying “Not Secure” warning message for non-secure HTTP pages in Chrome browsers. So look better in search engines to get higher rankings. Once you installed wildcard SSL certificate on your desired server(s), visitors will see most visible trust signs HTTPS and green padlock in the address bar for all subdomains. Additionally, you will get “Secure Trust Logo” with our certificate at free of cost. Accordingly, you can enhance customers trust and improve conversions by placing it across multiple subdomains. Wildcard SSL certificate can also protect your all automatically generated first level sub-domains. Additionally few industries have a requirement to create seasonal or temporary sub-domains, organizations can take advantages of wildcard certificate where an asterisk (*) will work as a placeholder for each sub-domains. Does your subdomains are hosted on multiple servers? Don’t worry, our all wildcard certificates offer unlimited server licenses, so you can install the same certificate across all. You do not need to spend the extra amount for additional server licenses. 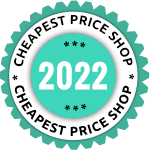 As cheapest price SSL Shop, we offer the lowest price guarantee on our wildcard SSL certificates. We believe in doing business with small profit margin, so pass a huge discount to our customers. If you find the cheaper price for the same certificate, we will deliver extra 5% discount immediately. Wildcard Certificate comes in two different functionalities such as Domain Validation and Organization Validation. You can obtain cheap Wildcard SSL Certificate within a few minutes by domain validation method. While organization validated wildcard certificate will be issued within 3 working days by validating your domain ownership and organization’s identity. The certificate reissuance requires in the cases of private key lost, wants changes in certificate details, installation errors or insect found in the active certificate. Our all certificates are equipped with unlimited certificate reissuance, so you can reissue it anytime during certificate life-span. Our all wildcard SSL certificates will be directly issued by trusted certificate authorities who are recognized by all major browsers. So, we ensure that your visitors will never experience “Not Secure” warning even if they will access your website using the desktop, mobile or tablet browsers. Wildcard certificates are compatible with most of web servers and browsers, OS, applications. So it is easy to install in on your desired web server like - Apache, IIS, Exchange Servers, NGINX, Tomcat, cPanel, Azure server, AWS or any other server. If you don’t know how to install & manage Wildcard Certificate on different servers, then our technical support team will assist you via live chat. Cheap SSL Shop is a globally authorized wildcard SSL certificate provider of well-known brands like Comodo, RapidSSL, Thawte, GeoTrust, and GlobalSign. 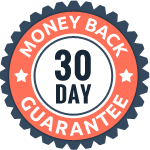 You will find the broad range of certificates at one place as well receive 100% satisfaction guarantee, 30 days refund policy and unmatched 24/7 technical and installation support when you buy wildcard SSL from us.